ww2 RAF Bomber Command – 30th January 1944 – target marking 405 (Vancouver) Squadron RCAF. 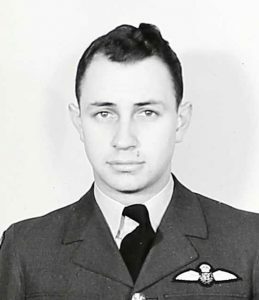 F/O Doug Hackett DFC was one of those who lost his life on the 30th January 1944 Berlin operation flying in the crew of F/Lt Warren Roberts RCAF of 8 Group’s 405 Squadron. During the 1943/44 winter bombing campaign against ‘the Big City’, Berlin’s weather presented significant problems to Bomber Command as the city was invariably cloaked in cloud. The accurate identification and marking of the target relied on the skill, organisation and discipline of the Pathfinder crews. The first wave of Pathfinder aircraft comprised the ‘Blind Marker Illuminators’, whose job it was to identify the target area by H2S, simultaneously dropping target indicators and illuminating flares. 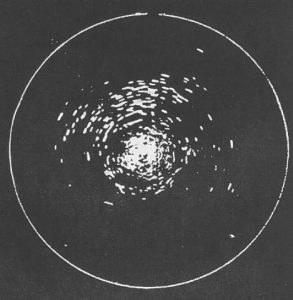 About two minutes after the ‘Blind Marker Illuminators’ a smaller wave of ‘Visual Markers’ were tasked to identify the target visually by the light of the flares and mark the aiming point with target indicators of another colour. If they could not identify the target visually they were not to drop their target indicators. ‘Backers-up’ would follow on to either aim more target indicators at regular intervals – as regularly as every one or two minutes throughout the rest of the attack – at the TIs dropped by the ‘Visual Markers’. If the ‘Visual Markers’ had failed to identify the aiming point the ‘Backers-up’ would lay their target indicators at a ‘mean point of impact’ for the TIs marked by H2S. ‘Supporters’ would bomb accurately by H2S to stoke up the initial conflagration. In the event that the target area was obscured by cloud and target indicators on the ground were hidden from view H2S aircraft carried sky-marker flares – red with green stars or green with red stars. The technique required flares to be dropped throughout the attack – repeating the initial marking as the flares tended to drift in the wind – it was impracticable to back them up. So depending on the cloud cover the blind marker illuminators would either be required to mark the target altogether – or alternatively in dribs and drabs if the aiming point was obscured. Difficult to arrange at short notice – so the blind marking force was split into two sections – one marking the target at the start and the others marking at intervals throughout the rest of the attack. There were three main target marking methods, given code-names:- Newhaven, Paramatta, and Wanganui. 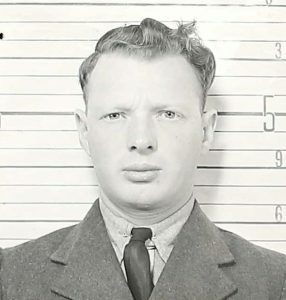 Newhaven was visual ground marking with target indicators (TIs) ; Paramatta comprised blind ground marking by H2S target identification, marked with TIs; Wanganui utilised sky-marking with parachute flares above and into cloud. In the event that the target was identified by Oboe equipped aircraft the codename would be prefixed by the word ‘musical’ – ‘musical wanganui’ – sky-marking by oboe target finding. Sir Arthur Harris also addressed the question of ‘creep-back’ where, as a raid progressed bombs fell increasingly short of the aiming point. 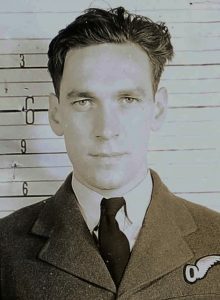 Harris did not attribute this to crews being ‘windy’ and dropping their bomb-loads too soon – but more due to the difficulties in judging the centre of a group of TIs on the ground. 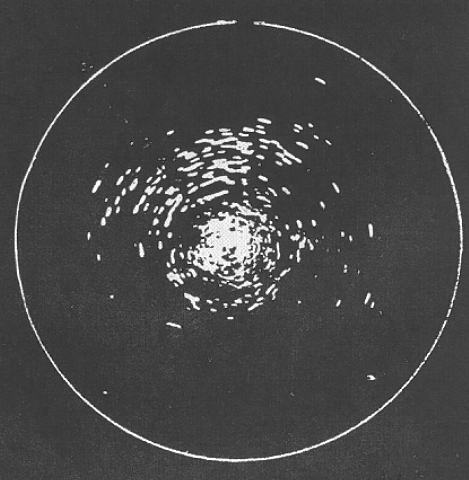 Perspective gave rise to a natural tendency to put the centre of a group of target indicators nearer to the point from which one viewed than the actual centre. To remedy this ‘Backers up’ were later instructed to mark the far side of a concentration of TIs. Later still when the time over target for the bomber stream was even more concentrated ‘Backers-up’ became largely redundant as the main force was able to continue to bomb the original target indicators. Note:- The two types of target indicator carried were the ‘ordinary’ and the ‘long burning’. The markers were often dubbed ‘Christmas trees’ due to the appearance of their cascade of intensely brightly burning candles. The ordinary T.I. comprised a small-case bomb containing 60 ‘candles’. Each candle burned for about three minutes having been thrown from the bomb case and ignited at a set altitude – the bomb being fused to burst at either 10,000, 6,000 or 3.000 feet. The candles cascaded slowly to the ground where they continued to burn in a patch roughly 100 yards across. Long-burning T.Is comprised of twenty candles which ignited when the bomb-case burst, another twenty igniting after 2 minutes and a final twenty after 4 minutes. The cascading candles of the LB T.I burned less brightly but lasted for seven minutes. According to Theo Boiten’s ‘Nachtjagd War Diaries’ the attack on Berlin on the evening of 30th January 1944 started at 20.15 hours, the German ‘tame boar’ fighters were directed to fly to Berlin only four minutes earlier at 20.11. It seems that an aircraft from 156 Squadron was first to identify and mark the aiming point. I haven’t yet analysed all 8 Group records for the night and so I cannot yet say which ‘Pathfinder’ crews were at the head of the bomber stream. 534 heavy bombers were tasked to pass over the target area in about 20 minutes – in simple terms 26 aircraft a minute! Bomb load:- 1×4 flares, red/green stars, 2LB & 2ORD T.I red, 1x 4,000lb HC, 4×1,000lb MC, 1 flare red steady. Bomb load: 1 x 4 flares red/green stars, 2L.B & 2 ORD T.I Green, 1 x 4,000lb H.C, 4 x 1,000lb M.C, 1 flare red steady. ‘This aircraft failed to return from this operation and nothing has been heard from this crew since time of take-off. ND493 was hit by anti-aircraft fire on its approach to Berlin at 18,500ft setting the port wing on fire. F/Sgt Bonikowsky was able to keep the aircraft under control but it was evident that the fire could not be extinguished and the order to abandon was given. 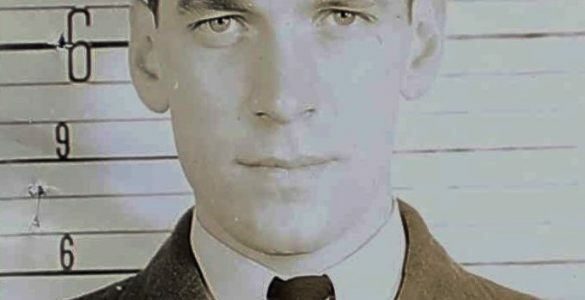 Four of F/Sgt Bonikowsky’s crew baled out successfully and survived to become prisoners of war, B/A F/Sgt O’Neill, mid-upper gunner P/O Einarsson and rear gunner P/O Charest died. Bomb load: 2LB & 2 ORD Green Ti: 1 x 4,000lb H.C, 3 x 1,000lb M.C, 3 x 500lb H.C. Bomb load:- 5x 2,000lb H.C. Bomb load: 1 x 4 flares red/green stars, 2LB & 2 ORD T.I Green, 1 x 4,000lb H.C, 4 x 1,000lb M.C, 1 flare red steady. ’10/10 cloud at 12 to 14,000 feet in target area. Load was released at 20.20hrs from 18,500 feet on centre of 3 or 4 wanganui flares. On arrival one line of flares fell at 20.13 hrs, then gap, then others at 20.16 hrs with green TI and others at 20.17hours. All these were well concentrated. Cloud too thick to permit any further observation. 1 x 4 flares red/green, 1 flare red steady, 4 T I Green, brought back owing to H2S unserviceable. Landed back to base undamaged. Bomb load (same as ‘U’) 2LB & 2 ORD Green T.I: 1 x 4,000lb H.C, 3 x 1,000lb M.C, 3 x 500lb H.C. It is interesting to note that 405 Squadron’s ‘supporters’ bombed very early on in the raid – ‘to get the fires started’ although, because of the cloud cover, only appeared as a ‘glow’. 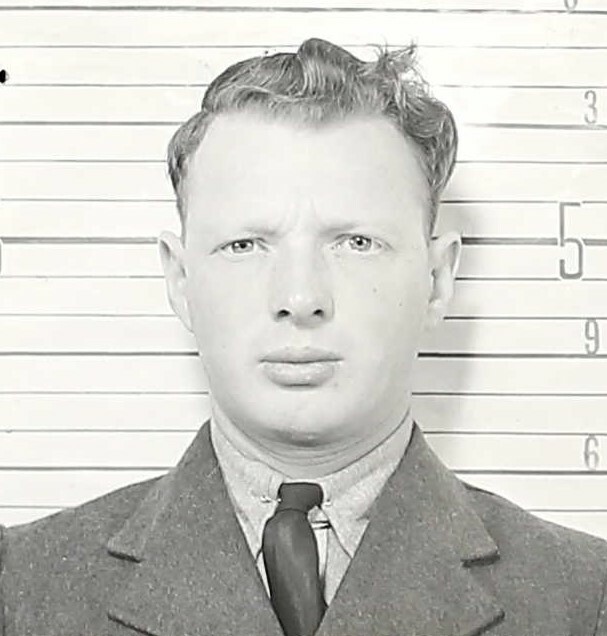 There bravery still to this day shocks me, all the press talk about is the dam busters it is nice to find a website that is about all of bomber command and not just one event.